This Sunday 12 August will see the MCG turn a vibrant shade of pink in support of breast cancer awareness. The Travellers Aid MCG Transfer Buggy Service will be operating at the MCG as it has done for every AFL game in the 2018 season. On Sunday, we will be available to assist people with mobility challenges to transit up from Brunton Avenue to the MCG stopping at Gates 4, 3, 2 and 1 as required. Wheelchair assistance can be provided to other gates, on request. 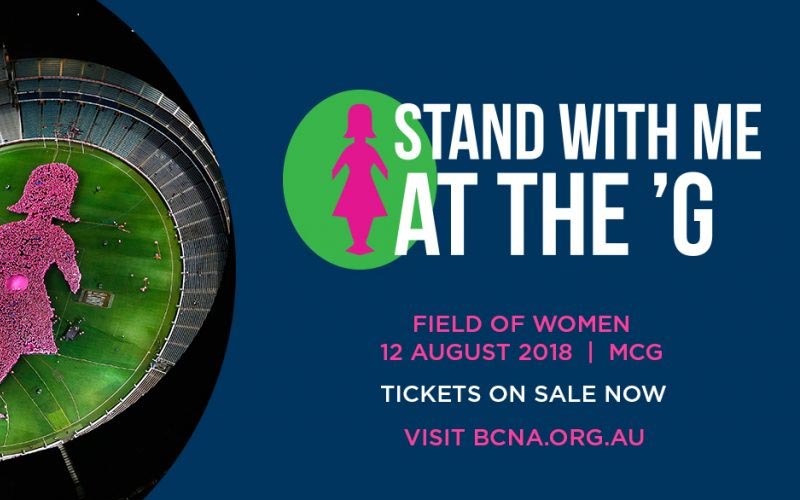 For the BCNA Field of Women events, we will be starting the service 4 hours before the game from 11:00am. The service also runs for 30 minutes after the game concludes. This is a free service supported by the MCC and Travellers Aid Australia. No bookings are required.